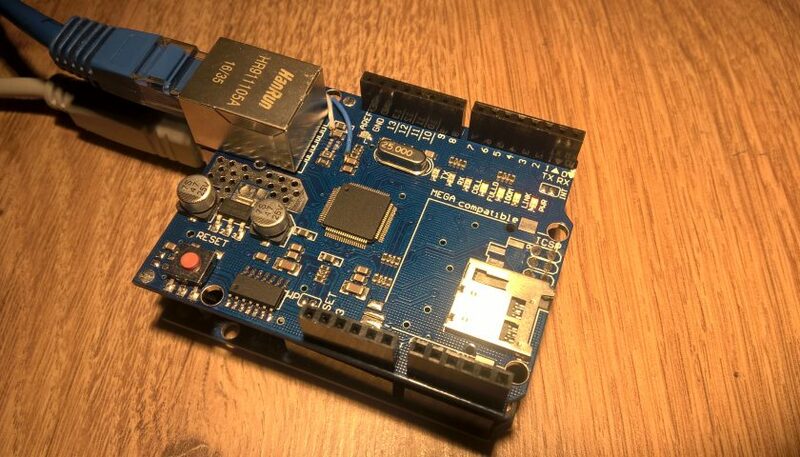 These pair of modules is a very cheap alternative for wireless communication. 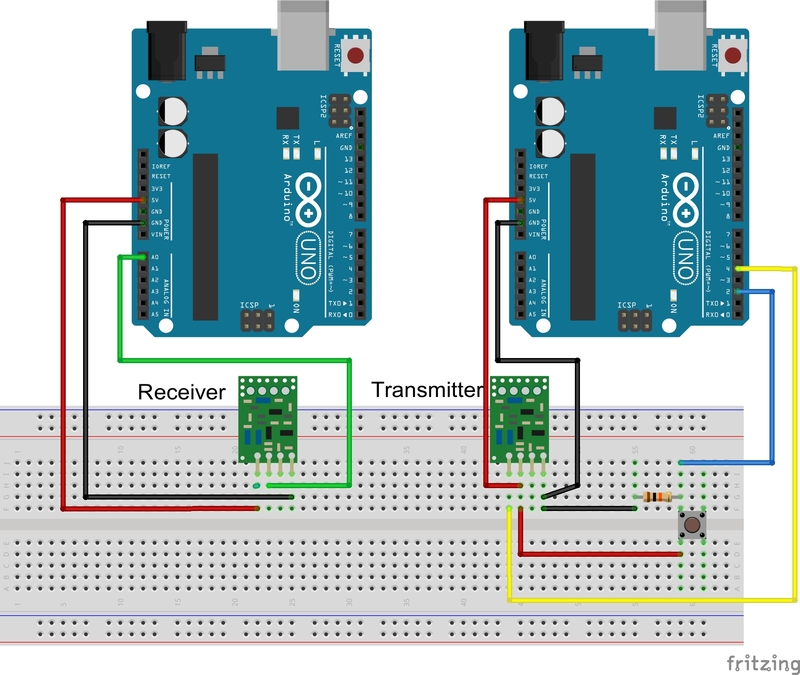 The pair is formed by a transmitter and a receiver like in the picture above and they can be use only with two arduino(or an arduino and one sensor like an open switch for the transmitter). In left we have the receiver and in the right is the transmitter. You can buy these modules and read more complex technical data except these from here. 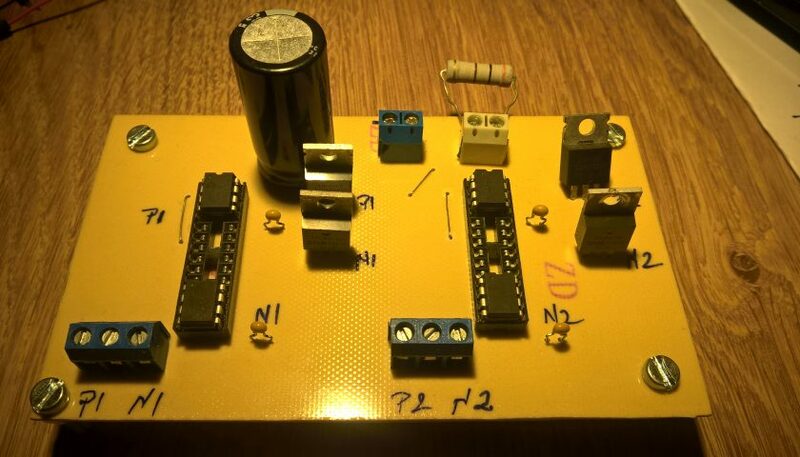 As you can see in the picture the transmitter module has 3 pins VCC(3.5-12 VDC), GND and DATA(ATAD on the module). 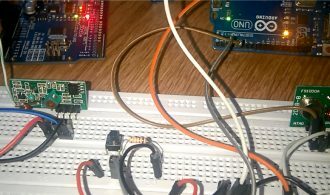 So on the arduino1 we use 5 V pins to VCC, GND for GND and Digital pin number 4 from arduino with the DATA pin on the module. 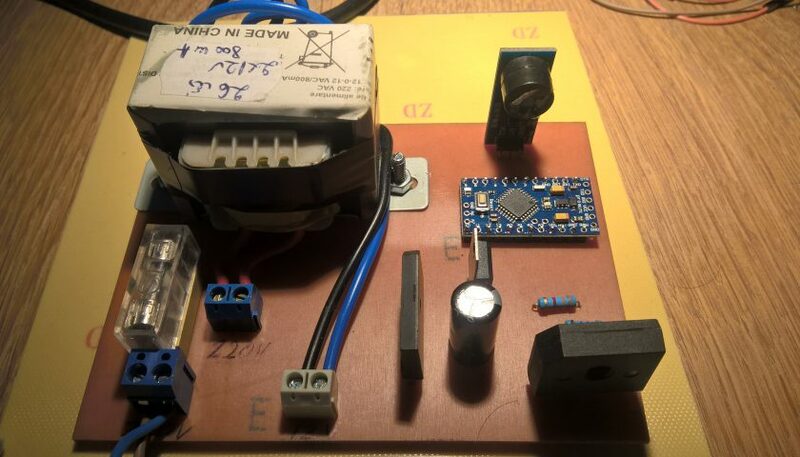 If you have a sensor like a open switch you can use it to send signal to data pin on the module, of course module must be powered(you can use a 9V battery and connect VCC and DATA pin to + and GND to -) . 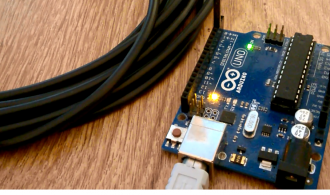 On the receiver we have VCC(5 VDC), GND and DATA.On the arduino2 we use 5 VDC to power the receiver, GND to GND and the DATA pin we connect to Analog 0. From these pin we will read values from 0 to 800(in our case). First program is made to see and understand how it’s work these modules. When DATA pin of transmitter is LOW the DATA pin of the receiver it has high values(600-800) on A0. 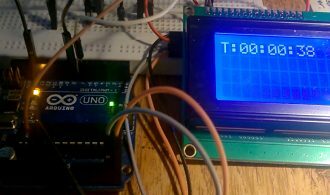 When DATA pin of the transmitter is HIGH the DATA pin of the receiver it has low values(0-10). So we have established an upper limit and a low limit. Upper limit is when the transmitter DATA is low and low limit is when the transmitter DATA is HIGH. These values may vary from module to module an by noise but not much. 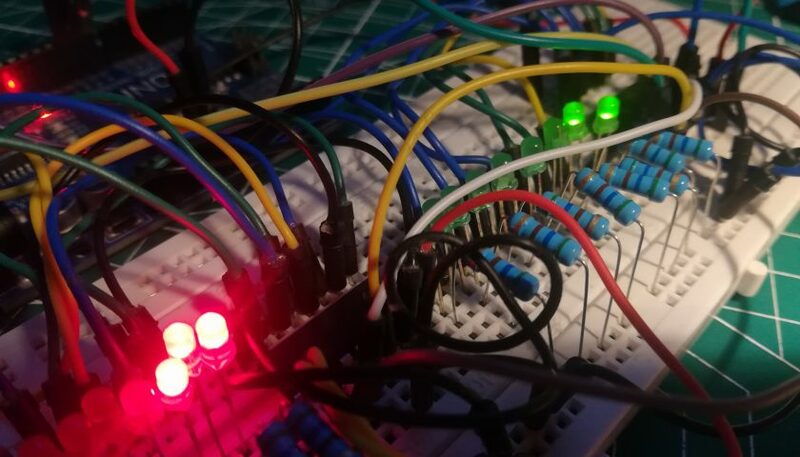 For test we have made the connections from above and when we push the button the led from pin 13 on arduino1(transmitter) will be powered on for 10 seconds. 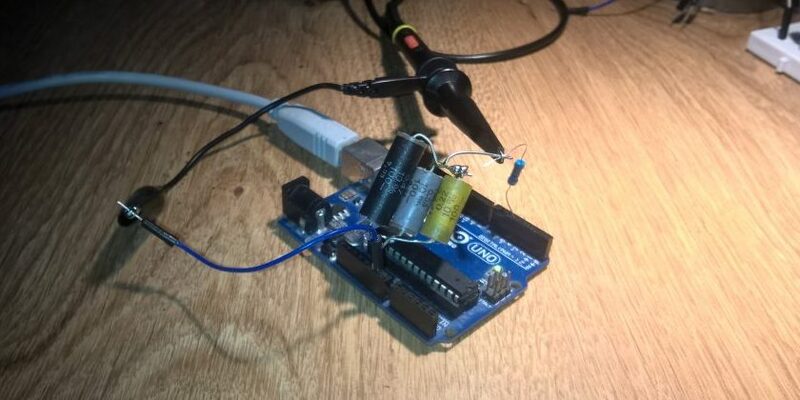 Beacause when you touch a module,or from noise, communication may stop, or is intermittent to consider a real signal we have timing the signal from the transmitter at about 5 seconds(with no interrupts) and consider the signal real and power on the LED from arduino 2(receiver). 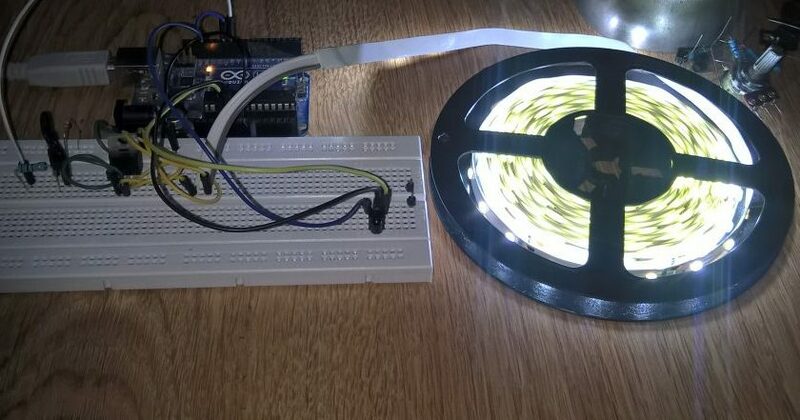 After 10 seconds the transmitter will stop transmitting and both the leds on pins 13 will be powered off. 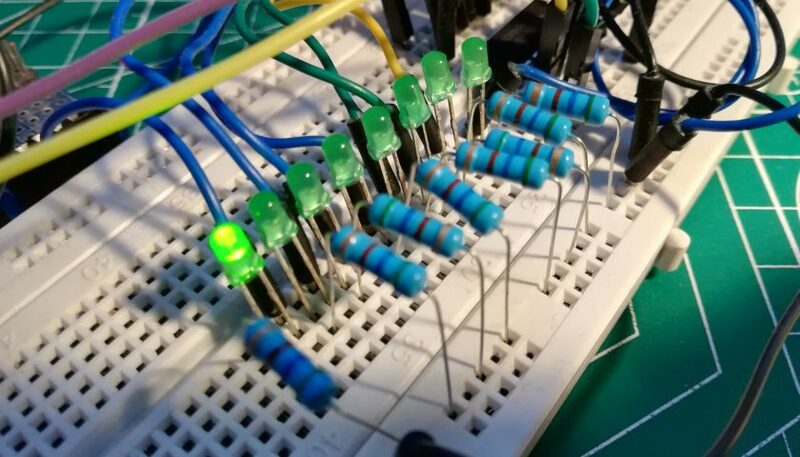 When the pin 4 is LOW(transmitter off) you shold see the LED from pin 13 on the arduino 2( receiver) blinking fast and values from serial print around 700. 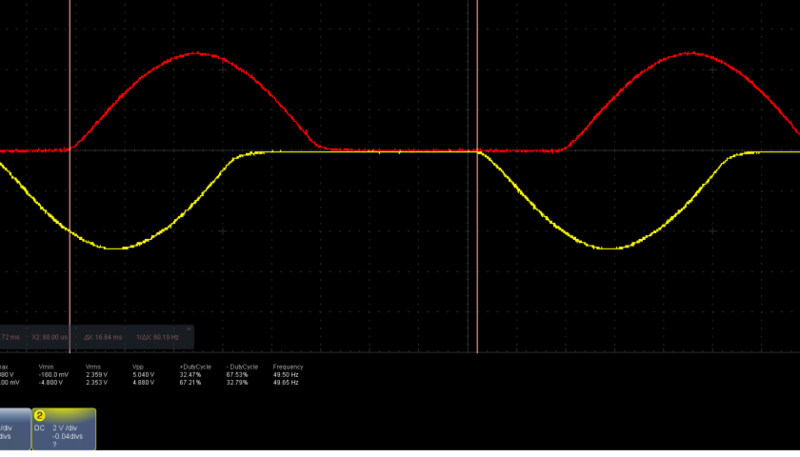 When the pin 4 is HIGH you should see the LED static and the value from serial prin around zero. In our case we try these module at a distance about 5 meters. The programs for both parts of module you can download from here.